Favorite place in the world (or at the moment) is the Square Rene Vivani in Paris, next to Shakespeare and Co., across the Notre Dame. Sitting in this spot with a cup of coffee, watercolors and music would be the perfect afternoon. Anything from Ooma! Cupcakes by Sonja! Nono's cakes! Toby's Estate Coffee! TWG Silver Moon tea! How can you ask me this question! I love listening to the Staves. Their harmonies are always on point, and so beautiful. But then again, I love any song on a guitar--Joni Mitchell, John Mayer, James Bay, Hozier, HAIM. I'm watching Brooklyn Nine Nine at the moment, it's the funniest, most uplifting/least offensive thing on TV right now. And I love Ru Paul's Drag Race so much, it's changed my life, henny. I keep it in the background when doing other things. When I'm not writing, I paint. I love playing around with watercolor, and sometimes when the writing isn't happening, I end up with a brush in my hand making carefully controlled strokes on paper. It's theraputic, and clears my headl! Regency Romance (my favorite genere in between new #romanceclass books): Julia Quinn's Romancing Mister Bridgerton and The Viscount Who Loved Me, Tessa Dare's the Duchess Deal is one of my ALL TIME favorites. Contemporary Romance: Lucy Parker's Pretty Face is so witty and fun, and you just want to give both Lily and Luc huge hugs. Laura Florand's The Chocolate Kiss is super slow burn, but the Paris setting makes it fun. Alyssa Cole's A Princess in Theory is also one of my favorites! #romanceclass books: All of them, really. My latest release is called Chasing Mindy, a book about a pair of Filipino kids who end up in Paris, of all places. Javi and Mindy are at something of a crossroads in their lives, where they both feel a little trapped by the roles set out for them. But Paris is a wonderful place to understand who you are, and fall in love. Expect lots of food, walks along gorgeous gardens and a pair of characters you just want to smoosh together to kiss! 1. Favourite place: The beach! I love the sun, sand, and sea. My top three beaches in the Philippines are Palawan, Bohol, and Balesin. 2. Favourite food and drink: Chocolate and coffee—best when mixed together! 3. Favourite music/genre/artist/song: I have a soft spot for ‘90s boy bands like The Backstreet Boys, Boyz II Men, and 98 Degrees. 4. Favourite movie/TV series: Currently obsessing over Terrace House on Netflix—I watched all the seasons! 5. Favourite hobby besides writing, if you consider writing a hobby: Running, traveling, reading, and playing with my dog, Buddy. 6. Favourite books: I love YA romance novels (everything by Stephanie Perkins, Jenny Han, and Rainbow Rowell) and fantasy series (Harry Potter, Lord of the Rings, Game of Thrones). And of course, #RomanceClass books by Mina V. Esguerra (Welcome to Envy Park and the Interim Goddess of Love series are my faves), Ines Bautista-Yao (Only a Kiss, Swept Off My Feet), Carla de Guzman (If the Dress Fits), Agay Llanera (Choco Chip Hips), and more! Hello! 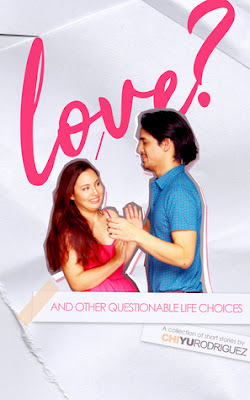 I’m Angel C. Aquino and I’m about to release my first novel, Love At First Run. The story is about 23-year-old Diana, who finds love when she joins a running club and trains for a half marathon (see full blurb below). I wrote this book as part of a #RomanceClass workshop. The story was inspired by my own love story (I met my hubby at a mountaineering club, where I had to run as part of the training) as well as my own love-hate relationship with running. I love how running strengthens my body, tests my limits, and allows me to explore interesting places on foot. But I hate how hard it can be, especially when I’m preparing for a race! Despite the challenges, I always find myself going back to running. Nothing beats the energy you get at the beginning of a race and the high you feel once you cross that finish line. 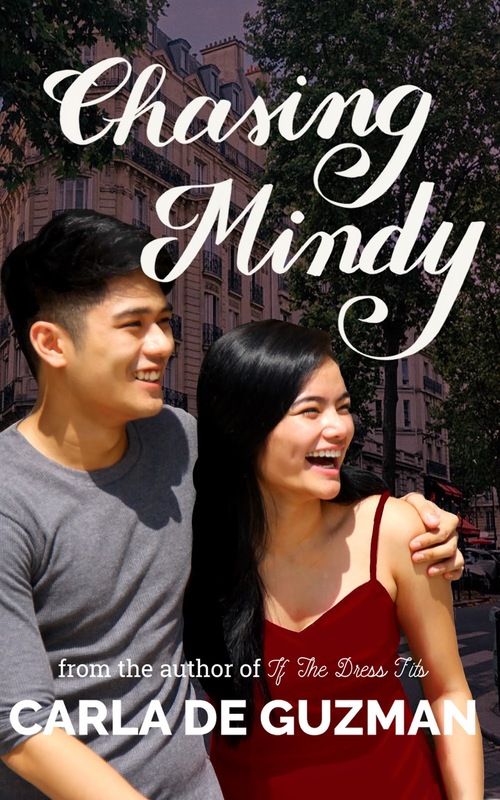 In this book, readers can expect to see a lot of sweet, romantic moments and be transported to a variety of beautiful running locations in the Philippines. Diana loves food, so there will be a lot of eating, too! As readers journey with Diana from one kilometer to the next, perhaps they might even be inspired to lace up their running shoes and go out for a run. Angel C. Aquino is a freelance writer, editor, and content creator based in Manila. She believes she can make her tiny corner of the world just a little bit brighter by writing stories filled with positivity, hope, and love. 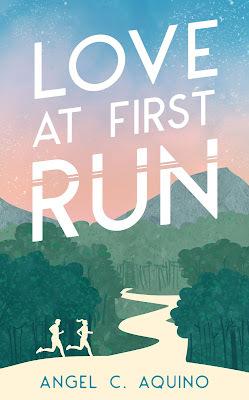 Love At First Run is her first novel. My Bedroom. I practically live in it since I work from home, but it’s my favorite because it’s mine. Having my own space is so important for my well-being. I love food in general but aside from Filipino food, Korean food is straight-up comfort food. As for drinks, I’m a coffee or wine drinker. Eternal Sunshine of the Spotless Mind will always be a favorite, White Oleander too, and 50 First Datess. As for TV series, I’m a big fan of procedurals like CSI, Criminal Minds, Grimm. I also like a lot of Korean Dramas and of course, Rupaul’s Drag Race! I love to drive around alone. Is that a hobby? If not, then it should probably be Photography. Newly-released and still steaming: Start Here from various #romanceclass authors. It’s awesome! Love: And Other Questionable Life Choices, is going to be released for the first time on #AprilFeelsDay2018. It’s a collection of three short stories, two of which have ties in my previous books (The Art of Shifting Gears and The Bye-Bye Bouquet). And the third story may or may not be connected to a future book. Readers can expect some fun, a lot of flirting, and good old self-acceptance. I just want them to get to know these characters more and relate to them on a deeper level. Here’s to hoping I achieve that. Rae and JR choose to begin, taking that final step into something new. Rachel and Geoffrey choose to give in, claiming what they've always wanted and running with it. Punky and Jazz choose to accept, acknowledging that they’re different and that's okay. Some choices leave a small imprint in our lives, a little push, a little nudge. While some... can turn our worlds upside down. Where will their choices take them? 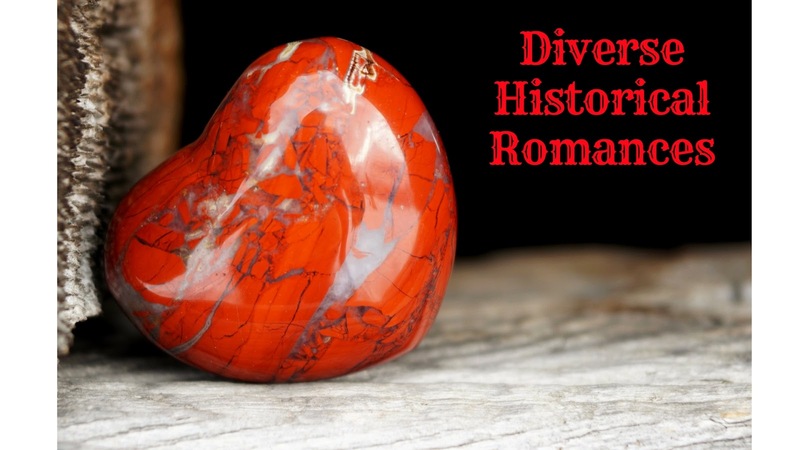 There has been a lot of talk about diversity in romance and based on the list of RITA 2018 finalists it seems that the lack of diversity is especially glaring with regard to historical romance. While there is an abundance of white, UK-set, aristo-focused, cishet historical romances, there are very few romances that present the stories of common people, queer people, people in time periods and places other than Victorian England. I have read some diverse historicals though not nearly enough, and loved them all. I tried to collect my recommendations in a list and added more diverse historicals suggested by romance Twitter. The list is divided in two - my personal favourites followed authors recommended by other romance readers on Twitter. You can find reviews of my recommendations on the blog. Cat Sebastian - Author of historical queer romances. I've only read It Takes Two to Tumble about a sea captain and an vicar coming together raising his kids. Her latest release is on my TBR list, Unmasked by a Marquess, m/enby romance. The Turner series is another m/m historical romances series. Joanna Chambers - Author of m/m historical romance, my favourite is the Enlightenment series. A Gathering Storm is m/m romance with one MC who is a scientist and the other is a land steward and half-Romani. 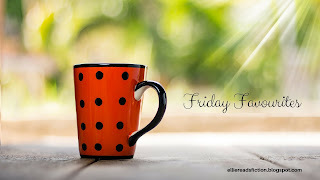 Sandra Schwab - Author of historical romances, both m/f and m/m. The Return of the Earl is a m/m romance between a reluctant new earl and his stablemaster. She also has a series of m/f romances, Eagle's Honor, set in Roman times. Rose Lerner - author of Lively St. Lemeston series of historical romances about common people, book 2, True Pretenses, has Jewish hero. My favourite is book 3, Listen to the Moon about a valet and maid finding happiness together. EE Ottoman - trans author of The Doctor's Discretion, historical romance with one trans MC and one Black MC set in late 19c New York. Next in the series will be another trans romance. 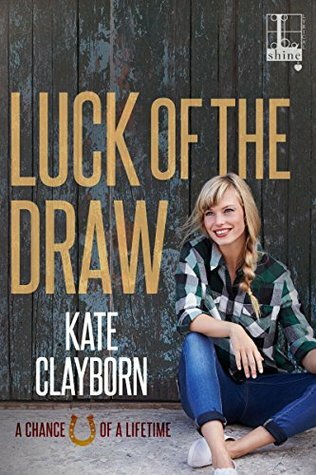 Kate Clayborn's debut romance, Beginner's Luck, which released last year, was a total delight to read and it ended up on my list of best books I read in 2017. As you can imagine it set the bar quite high for the next book and I'm so happy to say that Luck of the Draw not only met all my expectations but surpassed them. I'd say the second book is more than the first in all aspects - there is more angst, more darkness, more complicated family dynamics. I want to include CW early on for loss of a family member, grieving and discussion of addiction. I love the complexity of the characters the authors creates, they feel like real people with strengths and weakness, they make mistakes, they have regrets and try to do better. I'm not a big fan of fake relationships and this one started as a sort of payback, a retribution for the wrongs done and its growth into a love relationships was brilliantly done. There were no shortcuts, not easy solutions to overcoming grief and the sense of guilt Aiden and Zoe were struggling with. It took time and strength to face the consequences of one's action and to move forward. The romance itself was great, slow burn and all those touches that grew to mean so much. It's was very much a case of forbidden, can't never happen love and objectively it shouldn't have worked between them. But we see two people at a turning point in their lives and they manage to let go of their prejudice and established opinions and just see the other person for who they are. Zoe is an amazing heroine, she is strong and powerful, seemingly in command, sort of the leader in her group of friends, and then boom! everything changes after her lottery win. We see her as directionless, lost, struggling to start her life anew. I loved her character's journey through the story, figuring out herself, opening up to her friends (and to Aiden), taking risks, finding what makes her happy and sticking to it. Aiden was wonderful too. He is an introvert drowning in his grief, focused and determined to succeed in the task he had set for himself. We see him struggling to go on with his life, lost, without the friends/family support he so desperately needed. And his relationship with Zoe was not a magical solution to his issues. She was a catalyst in a way that helped me realise some things about himself and change his plans for the future, but it was him who did the work, looked in the mirror and didn't like what he saw and decided to change it. A very strong point in the first book was the female friendship between Kit, Zoe and Greer, the three of them being more of a family than friends. There is support and comfort but also the pressure to live up to expectations, to be the strong person everyone thinks you are. I loved the complexity of their friendship. And apart from an already established close friendship we see a new friendship develop (Aiden and his co-workers) and how difficult it is for an introvert dealing with a devastating personal loss, to open up to outsiders, to let strangers in his world, to rely on them and to be able to give back support and friendship. The author goes in depth in all these aspects of human relationships and this makes for a very emotionally rich and engaging story. I love how the author uses the lottery win as a means for giving her heroines a chance to explore the possibility for change in their livers. I also very much appreciate the casual queer rep we see in this story. It's just there, two newlywed lesbians in a long-distance relationship facing the same issues any two newlyweds in a long distance relationship would face. The story ends with a great epilogue - so fitting, change is slow, no magic solution, no immediate forgiveness and moving on, some things are not easy to forget, you just learn to live with them. After loving Dear Mona Lisa last year and I was excited to read more by this author duo. I don't read much YA/NA these days but when I was offered an ARC of this book I jumped at the chance. And I am so happy I did, it' such a wonderful story. What I love the most about Al and Claire's book is the writing style, so lyrical, heavy on metaphors and subtext and at the same time funny at times and it packs a punch with just a few words. I admit it took me a while to get into this story. 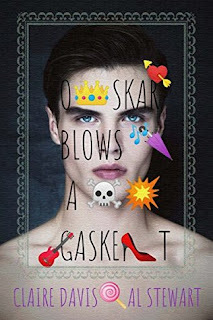 We are plunged into the mind of Oskar who is a very unique, whimsical character. I loved his voice though, and the reader gets to know him simultaneously with the other MC, Bear (Gareth). Oskar is special and ordinary at the same time - a young person acting out, being prickly and contrary, making up stories about himself and wearing make-up and fancy clothes as much as an expression of himself but also as an armour against the world who has been nothing but cruel to him so far. Initially we see the most of Gareth through his letters and we get to know him in the year and half before college and meeting Oskar. WE get to read them parallel to the present-day events in his life and that only made them more poignant and moving. It's Gareth's letters that broke me and made me cry and filled me silent rage and despair for him. The romance was really moving and tender and volatile and unpredictable, a reflection of a lot of first for both Oskar and Bear. It felt very real, somewhat close to my experiences of being 18 years old. There was lots of confusion and firsts and boldness and shyness, navigating college, new friends, a lover, complicated family dynamics and Oskar and Bear went through all this together becoming a couple that really fitted each other, helped and supported each other. I loved how they completed each other, Gareth getting to read Oskar's moods and somewhat instinctively discovering the best way react/inteact/communicate with him, at the same time Oskar was really good for Gareth boosting his self-confidence and belief in himself and giving him the much needed knowledge that he is worthy of love and affection. It was not all drama and angst, there were a tonne of 80s music, good humour, and pure fun. There was a moment around the middle where I was worried for a bit that Oskar was coming off as misogynistic, rather misanthropic, but I was soon proven wrong - he was really caring, too emotional, fragile which he hid behind being sort of bitchy, often quite nasty to the people around him.loved how garrett and oscar found their way to each other, it's about who you are, how you love and care for peope. being gay was a non-issue for most of the MCs and for most of the side characters. Another concern I had was about the parents and how cruel and unredeemable they seemed initially. I'm really happy that the authors gave them a chance to act as decent human beings in the end. There was not magical forgive and forget but rather honest conversations took place giving just the tiniest hope for them acting better in the future. In short, this is a beautifully written emotional story of growing up, dealing with some terrible events but mostly, it's hopeful in a way a find much needed in the present day. It doesn't offer a clean solutions to all of the issues Oskar and Gareth face in their lives, it's very much real regarding addiction and neglect but still, it's hopeful, opening up the possibility for better things to come and that is the best things a romance novel can be. I loved this book so much, it's my favourite in the series so far. This is very much a typical bodyguard-princess romance and it's beautifully and very engagingly done. I loved the complexity of the main characters and all the pining and their long and stubborn resistance to giving in into their feelings. Unlike the previous book where I felt there was strong emphasis on the cult/religious apsect of the secovite in Sector One, here the focus was more of the court intrigues and the world of the noble families in the Sector. There was still a lot of talk of (living) saints and martyrs and self-sacrifice but it didn't bother me as much. Either I am getting more used to the world of Sector 1 or it was indeed less present as a theme than in Deacon and Ana's book. The important thing is that it all worked so much better for me. I loved both Ivan and Maricela and found them to be wonderfully complex characters, both hiding a lot from the world, only showing a deceptively simple facade. Theirs was a slow burn with lots of hidden touches and looks and it all exploded in hot passion. They completed each other perfectly despite the seeming impossibility of a relationship between them. It's a very character focused story but we also see a lot of the rest of the Riders and noble families which creates a very rich, vibrant world. I loved the sense of camaraderie among the riders and Maricela's female friendships were really precious to me. Ivan and Maricela became the world for each other they could never forget their obligations and responsibilities to those they loved and cared about. There is tense suspense plot going on which too a surprising turn at the end and I can't wait for the next books to see how it will all play out. The humour and easy interactions among the Riders were a delight to read and much needed comfort from the very intense and emotionally charged relationship of Ivan and Maricela. I absolutely love how the authors take a familiar trope (in this book and in the previous ones in the series) and explore it from all angles, presenting it as a real, easy to relate to life experience. In short, Ivan is a bodyguard-princess romance which I loved and can recommend to everyone. It works well enough as a standalone, so if you haven't read the series yet, you can start here.